The shooting broke out at 01:30 when a group of armed men arrived in three vehicles at the Forro do Gago nightclub in Fortaleza's Cajazeiras neighborhood. It's a brutal scene, a massacre. Something you never see in Ceara, a police officer, who asked to remain anonymous, told news website G1. Costa said that other victims were hospitalized in serious condition, but did not give a number. A spokesperson from the Institut Jose Frota hospital said that six people, including a 12-year-old boy, had been rushed in for emergency care. Local media reported that the shootout was a clash between members of two rival drug trafficking gangs.Officials however remained tight lipped. The investigation is still ongoing, Costa said. On January 7, a war between drug gangs already claimed four lives in the suburbs of Fortaleza. Last year there was a record 5 114 murders in the state of Ceara, a 50% rise from 2016. Tags: Brazil, Cajazeiras, Drugs related shootings, Fortaleza, Northern Brazil, Shooting, violence. Unfortunately it's become a common occurrence. Along with hundreds of thousands of other crimes, every year. 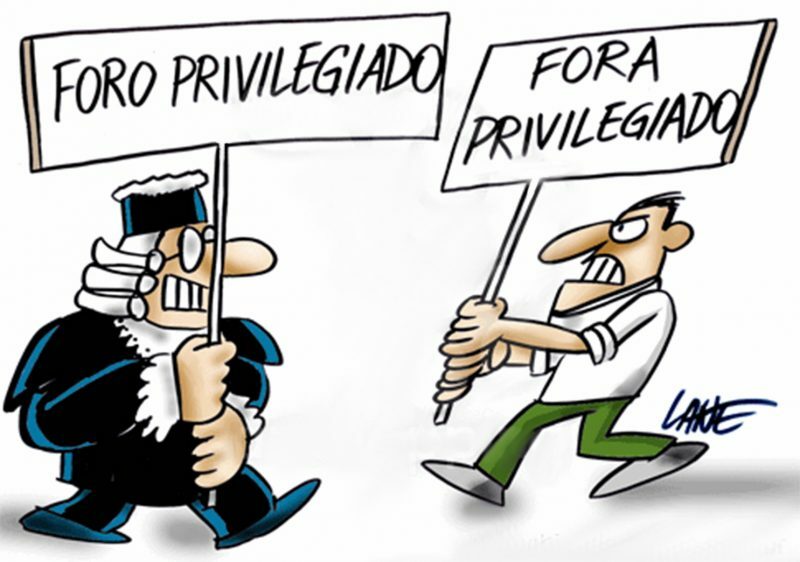 http://asmetro.org.br/portalsn/wp-content/uploads/2017/11/foro_privilegiado.jpg . | . WHY NOT LEGALIZE CRIME AS WELL?? ?